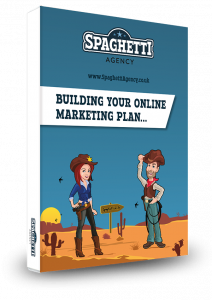 Facebook Groups are a superb way to engage with many people and they’re really popular at the moment. With the introduction of adverts into Groups recently, it’s clear they’re here to stay as a key part of Facebook’s future. But popular groups are busy and Facebook are renowned for controlling what we see in the streams. Even your personal profile now has an algorithm to keep you from overwhelm. That’s why you didn’t see that thing your friend posted last week even though they assumed you would do. Facebook Groups have an algorithm and they also have settings and notifications that can really improve your experience. So how do you choose what you see? What does Facebook show me from a Group? Firstly, let’s talk about the big issue on Facebook – overwhelm! There are an estimated 1,500 posts you could see every day, and Facebook knows that number will rise. They also know you’ll get annoyed if you can’t find what you want to read about through all the noise. So, they have the algorithm and things like Page Rank and other tools to ensure you get the best experience. I won’t go into detail about that here as I don’t know exactly how it works because Facebook keep these things close to their chest. But it IS going to affect your Facebook timelines and it IS affecting your Group experience. Facebook shows you what they deem to be important to you. That means the content you see in a Group should be perfect for you… but it isn’t. The problem is, Facebook doesn’t really know what you want, because you confuse it. You click and comment on all sorts of content and of course that can sometimes be content that you don’t like. You might even click on posts by people you don’t like, to see what the fuss is about. Facebook is a machine and it’s looking for signals to make its decision for you so data (your activity) helps it make decisions about what you see in future. So yes, the content and the ads that you see are your fault… based on your activity and interests. But you can make what you see on Facebook, and in Groups, so much better. You control the content you see by the way you interact with a group. And you could argue that you control it by who you hang out with on Facebook too. Ever noticed that you see your friend’s posts more than people you don’t know? I do. But let me give you some ways to manage your content and see what you really want to see, instead of relying on the algorithm. Here’s a really simple way to control your experience – your finger. See something that you don’t like? Don’t agree with or really don’t give a crap about? Scroll. It’s become a cliche, but scrolling is the best way to control what you see. Tune out those posts that you disagree with or have no interest in. It’s a very simple way to improve your Facebook Group life and it’s very non-techie! At the top of any group you’ll find notification settings. If you want to slow down the amount of content you see from a Group in your own timeline then changing these settings seems to do that. I’ve found turning off all notifications not only stops me being notified by Facebook when anything happens in the Group, it also slows the amount it shares in my own timeline, too! Have you ever commented on a post and wished you hadn’t… because then everyone else did and you got notified for the rest of time?! Just turn off notifications for the post. Simples. You can do this individually per post and it’s ideal for those times that a post goes a bit bonkers and you need a break from it. This will not only stop you being notified but it’ll stop the post appearing in your Newsfeed too! Winning. The algorithm is at play in a Group and it’s looking for content that it thinks is good for you to see. Now, unfortunately this can mean that a post with a lot of comments will always be at the top of the Group as it’s clearly popular, but it’ll also show you content that you comment on. So, stop commenting. If you see something that really annoys you, upsets you or you simply don’t want to see – don’t comment! This won’t stop others commenting of course, but by not engaging you’re showing Facebook it’s not something you want to see. You also won’t be helping the post stay up at the top of the feed by feeding it with extra comments. It’s unclear if not commenting will stop it appearing as high on your feed as others. Sometimes a post with lots of comments will just rise to the top anyway because Facebook sees its popularity. Searching on social media makes it better. Fact. Sites like Twitter are so much better when you search and find content that YOU want… and Groups on Facebook are the same. Searching through a group for a person, subject or keyword can revolutionise how you use and interact with a Group. So, if you’re only interested in Leamington Spa for example 😉 then search that and you’ll only find posts with Leamington Spa in the title (not the comments on the test I did). Hashtags are also a great way to ‘link’ content too. If you put a hashtag in your post title you can link all other posts together. I use #ToddsTips when I share tips on social media. So, when you search content with #ToddsTips in 4Networking Community you’ll find all my tips in one place. Handy. You can unfollow a group so it doesn’t appear in your Newsfeed. Now you’ll only see the content when you go to the group. This ensures you’re not distracted by the Group’s daily activity, and you can use Facebook to only see your friends’ posts and Page posts instead. Unfollowing the Group doesn’t leave the Group, you just turn down the volume on it. And it’s always there if you want to pop in and check on things. 7. Use the Block Button! Hate someone in a Group? Dislike what a certain person says? Well you can take drastic action and ‘Block’ them. 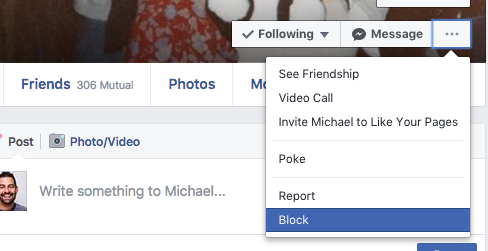 Click on the person’s profile and then click the Block button. Blocking someone stops you seeing their posts AND their comments and stops them from adding you to other content too. But in a Group, it means you won’t see them again. You won’t see posts they start, and you won’t see comments from them in other posts too. Of course, if it all gets too much for you, then you can always leave the group. When you leave a group your content and comments stay in that group but you don’t. You can still see notifications from posts you created but you can’t comment on them, although you can delete them after you leave. To leave a Group on Facebook just head to the Group and then look for the ‘Joined’ button on the top left and then click it and Leave. The thing is, if you leave, you won’t see the content from the Group again (unless you re-join) and you won’t be able to be tagged in the group either. It’s the ultimate cull. But if you want to do it, this is how you go about it. 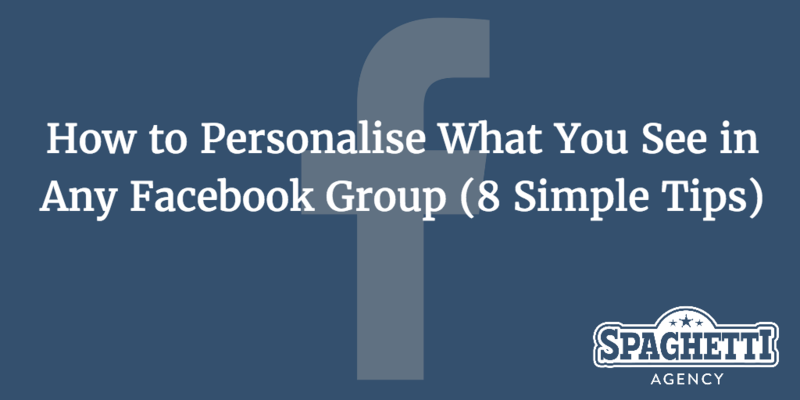 Facebook Groups are completely customisable and are a truly great place to hang out and network, learn and engage. They’re fab for referrals as you can easily introduce people to each other and spread the networking love. 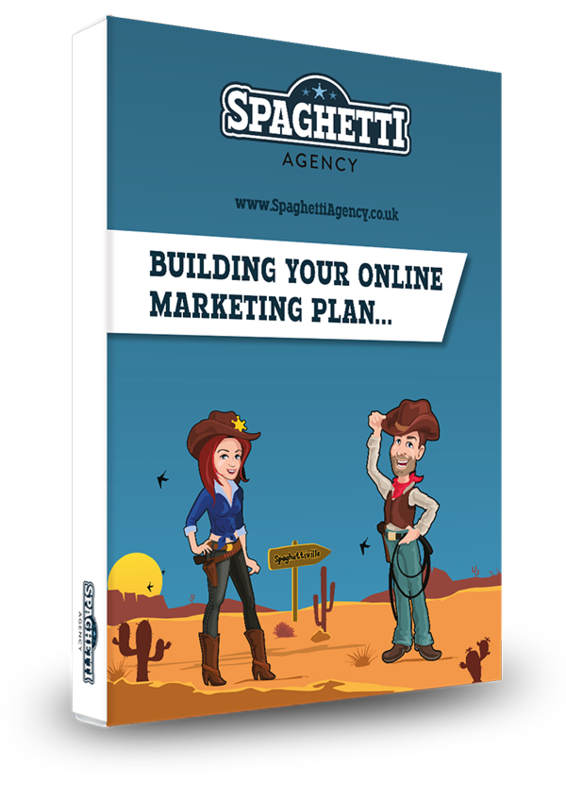 Why not set one up for your business or customers for a cool way to keep in contact? Got more tips on making Groups great? Hit me up in the comments and let’s learn from each other!